DevOps Consulting Services. Done Right. Most organizations lack the experience to know how to successfully setup a successful end-to-end DevOps solution. As a Microsoft Gold DevOps partner, Imaginet's DevOps Consulting Services team is recognized by Microsoft as having the expertise you need to help your organization start reaping the benefits of DevOps today. Accelerated Development. Improved Application Quality. 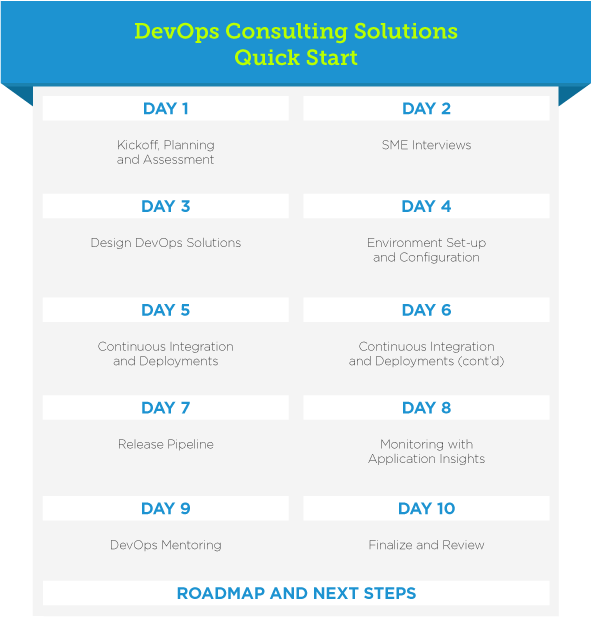 Imaginet's DevOps consultants bring together decades of the best, proven practices from development and operations—e.g., agile and Lean—and aligns them around their common characteristics: value, empiricism, and crossfunctional collaboration among many others. DevOps bridges the gap between agile software development and operations, and once the traditional silos between dev and ops are dismantled, DevOps enables real-time collaboration, knowledge sharing, and a unified strategy across everyone who has a stake in delivery—and that’s everyone in your organization. Most organizations lack the experience to know how to successfully setup a successful end-to-end DevOps solution. As a Microsoft Gold DevOps partner, Imaginet’s DevOps Consulting Services team is recognized by Microsoft as having the expertise you need to help your organization start reaping the benefits of DevOps today. Bring the combined power of Imaginet’s expertise and the benefits of DevOps to your team today! When you're ready to revolutionize your software development processes, you never want to do it alone. This is where the Imaginet DevOps Consulting Services team comes in. We have helped over 650 customers around the globe with ALL their DevOps needs—and we’re ready to help you, too. Imaginet’s Certified DevOps team has designed, deployed, and mentored organizations on DevOps best practices and has over 15 years of real world experience. Your customized DevOps environment will be setup and configured with industry leading best practices by our Certified DevOps Consultants. Our DevOps Consulting Services team will ensure that best practices are tailored for your environment and integrate with organizational processes throughout the project. Learn the skills you need for your DevOps environment with no lag between the learning and the implementation of knowledge. 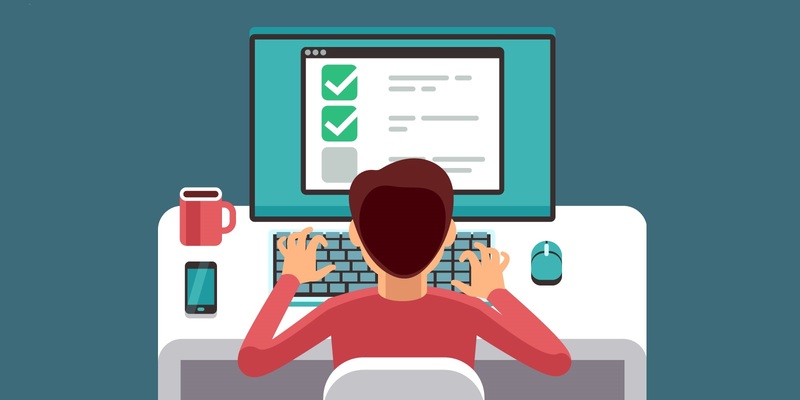 Imaginet’s DevOps consultants can focus on those topics that are most relevant to your environment, team, and solution rather than broad coverage of topics that may not be relevant. Imaginet is there to do the work, assist and guide, but your team is ensured that they get the hands-on experience required to be successful. Imaginet is a Microsoft Gold Partner in DevOps, Microsoft’s highest competency level. Imaginet's DevOps experts led a mortgage company to greater work flow tracking, increased consistency, and improved visibility by centralizing all work items and code into Microsoft Team Foundation Server (TFS). Imaginet is globally recognized within the software industry as a premier consulting and software development organization. Take this short Microsoft DevOps self-assessment to get tailored recommendations on how to improve your organizations ability to develop and deliver value to customers, pivot when needed, and beat competitors. Keep up with the latest on DevOps, including updates, rumors, tips and tricks, and more. Read what's new to stay in-the-know. Located in the United States (Dallas) and Canada (Winnipeg). DevOps Consulting Services offered worldwide.